Wifestyles Blog & Photography: NYE & Resolutions! here's a look at my New Year Resolutions! 1. Find a home church that Justin and I both love and become members. 4. Eat healthier, cut out pop/junk food as much as possible. 5. Travel to at least two new places. 6. Finish our house remodeling completely. 7. Pay off remaining debt. 8. Build up our savings account more. 9. Be a better wife, daughter, sister, friend, neighbor and person. 11. Learn to be a successful couponer. 12. Rid myself of all negativity! The nails and the dress are really awesome! I love your list....especially the last one!! Sounds like good resolutions. I haven't really made any.. I could try getting rid of all the clothes etc. I don't wear anymore :D Donate or take to fleamarket, something must be done soon! sounds like a good list of resolutions. I would also like to get rid of all negativity from my life. Sometimes it's hard. The dress is cute. Like the glittery nails. SO PRETTY! Happy New Year!! Ill be praying for you all to find a home church and become members :) love your 12 in 2013! Such fun resolutions! 2, 3, and 5 are definitely on my goals too! Awesome resolutions... our lists are quite similar! ;) And I'm with you on couponing- always wanted to get into it but just haven't yet. 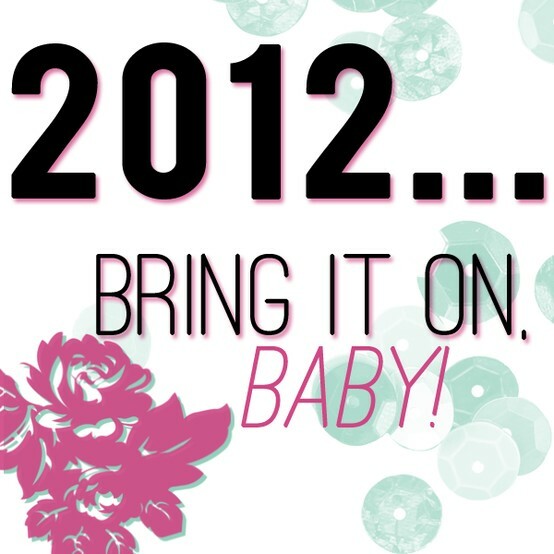 Hopefully 2012 will be our year to do just that! :) Happy new year! Good goals & love your dress! I am working on my goals post! What a great list of resolutions! BTW, I love your nails! thanks for stopping by today. glad we found each other. you are GORGEOUS....wow! and what a beautiful bride you made!! !